To have a healthy body and a functional mind, one of the most important things to do is sleep. 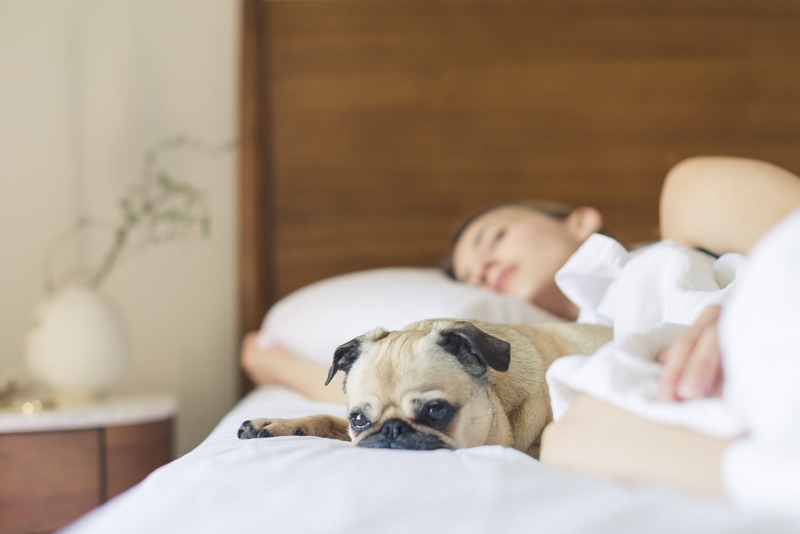 While it may vary from person to person, on average adults need about 7 to 9 hours of sleep to completely rest their bodies and their brains. While sleeping, your body repairs muscles and stores energy for the next day. The brain works through difficult unsolved problems and can wrestle through traumatic experiences in the subconscious mind. However, the majority of people find that they can’t fall asleep within the first 10 minutes of being in bed and 50-70 million Americans have sleep disorders. If you have trouble falling asleep at night, here are some easy ways that you can fall asleep faster and stay asleep for longer. There are millions of people who can only go to sleep if they have a fan pointed at them–summer or winter. Though this may seem odd to others, there’s a reason behind it. As you fall asleep, your body temperature naturally drops a few degrees to help your muscles relax and to slow the movement of your body. Some studies have shown that keeping your room cool at night can actually speed up the process of you falling asleep. In fact, the National Sleep Foundation even suggests that you keep your room between 65 and 67 degrees as you prepare to fall asleep. There are many uses for essential oils. Some people use them as general fragrances, while others use them to heal. If you haven’t tried using essential oils for anything else, you should try using them to help you fall asleep. D Gary Young, the founder of Young Living Essential Oils, often recommended lavender oil to help people fall asleep as part of aromatherapy. Being able to smell the scent of lavender before bed increases your amount of deep sleep and helps you to feel more awake in the morning. Some people have also suggested rubbing the lavender essential oil onto the bottom of your feet, putting on socks, and then going to bed like that. Before bed, listen to slow, classical music (with no words). This helps your mind to wind down and relax after a long day. It stimulates your mind to start processing things at a slower speed. It helps your body to wind down as well and fall asleep faster and more efficiently. When choosing your station, stay away from anything that has a beat higher than 70 beats per minute. The beat of the music needs to either match your resting heart rate or be lower than it. The goal of listening to slow music is to help your heart to match the pace. It should soothe and relax you, not make you feel more energized. Once you’re lying in bed, there are a few great things that you can try. First, try deep breathing. Start by breathing in for 5 seconds, holding your breath for 4 seconds, and the breathing out for 7 seconds. This will help your muscles to let go of the stale oxygen that they have been holding in. Then, practice progressive relaxation methods to work your body into a state of relaxation. Work through your muscles one by one starting with your feet. Flex and tighten that one muscle and then let it completely relax. Do this all the way up into your face and let each muscle relax one by one. When working through the body, the feet hold a surprising amount of tension. We stand on our feet all day and they can tension in the balls and the arches. Massaging and rubbing your feet at night can help the rest of your body to relax because you’re working out one of the major points of tension. Remember that every person is different and you might have to try a few different methods to fall asleep before you find something that works for you. However, the worst thing that you can do is grow frustrated with yourself for not falling asleep. Be patient and loving towards your body and your mind will find itself slipping into slumber.